The Manatee County home of Baseball Hall of Fame catcher Carlton "Pudge" Fisk was burglarized and thousands of dollars in collectible coins stolen, the Manatee County Sheriff's Office said Friday. A pest control service notified deputies Thursday that the unoccupied house on 63rd Avenue East, a secluded area east of Bradenton surrounded by trees, had been broken into. "All they took was the coins, there were other things that they didn't take that were of value," said sheriff's spokesman Dave Bristow. The silver coins were worth thousands of dollars; no baseball memorabilia or other valuable items in the home were taken. Since no other items were stolen, the Sheriff's Office is considering that the house was not a "random" target, but the burglar knew the coins were there. 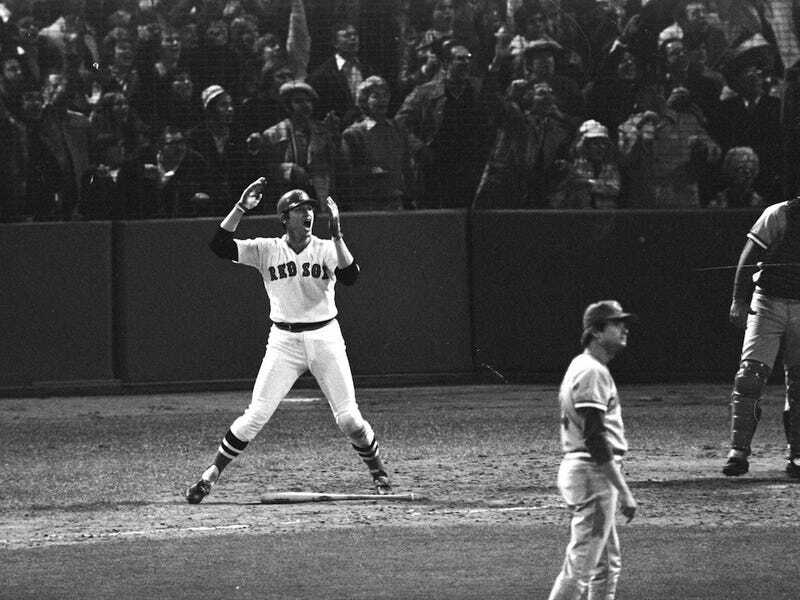 First of all: Carlton Fisk had thousands of dollars worth of collectible silver coins. Second of all: What is a collectible silver coin? Do they mean these Home Shopping Network dealies? Why would someone buy those? Why would Carlton Fisk buy those? Third of all: The burglars knew he had thousands of dollars worth of collectible silver coins? Has anyone checked with the people that, I don't know, sold him the collectible silver coins? And fourth of all: They didn't want anything else?? Perhaps the coin collection is the result of a little too much inebriated home shopping—it's either that or the corn field—but there are still a lot of loose ends here that need addressing. We will provide updates on this bizarre case it unfolds.